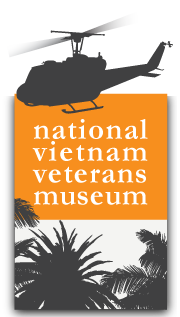 The NVVM seeks to remember, interpret and relate the experience of the veterans of the Vietnam era and the enduring impact of the war on society. To be the premier museum for the Vietnam war era. The NVVM has entered the Museum Accreditation Program (MAP) of Museums Australia (Victoria). The museum was opened on its current site at Newhaven on the popular tourism destination of Phillip Island, Victoria in March 2007. This followed a decade of development arising from a towed display touring Australia under the auspices of the Vietnam Veterans Association of Australia. It is the largest and most comprehensive museum of its kind in Australia, founded and built by Vietnam veterans, family members and other volunteers. Following the recent completion of a museum Master Plan, the museum now has a roadmap to take its development to 2025. The National Vietnam Veterans Museum is an incorporated Not for Profit organisation and Deductible Gift Recipient operating as a Company Limited by Guarantee. The museum has three full-time and part-time staff and draws upon a volunteer force of almost 70 to help manage the day-to-day activities of the museum. The museum is managed by a General Manger reporting to the Chairman of the Board of Directors.